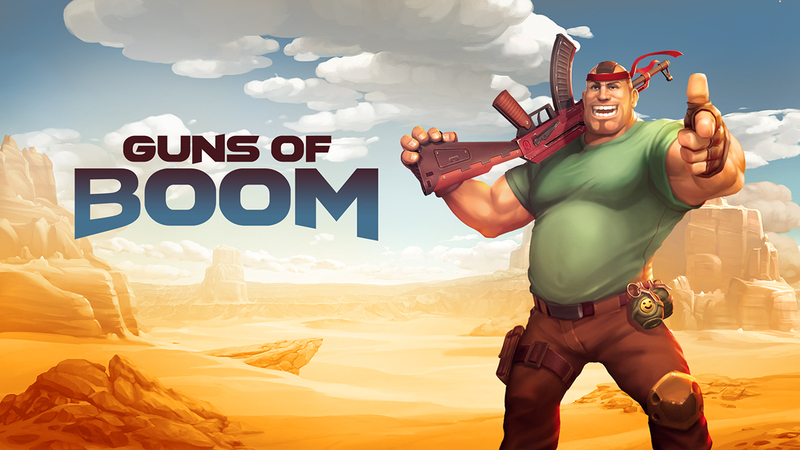 Guns of Boom from Game Insight is a mobile first person shooter, and the over the top cartoon graphics is appropriate as this is an action packed game. This is a team based FPS where the goal is to take out the opponents by blasting them away. No complicated plots here, so you can just focus on shooting. Guns of Boom features 4×4 battles and the format is simple. Each battle takes place on one of the many maps in the game. You and your team shoot, run for cover and shoot the enemy. Each battle lasts for 5 minutes and the team with the most points after that period is the victor. The controls are very simple. To walk, move your finger along the left. Move your finger to the right to take aim. Once you are locked in your gun automatically fires. There is another button for using a health pack, throwing explosives and one for stabbing the enemy, useful if you are engaged in close in combat. There is only a finite amount of explosives and health when the game begins, but you get more by grabbing the free crates or buying them with gold. After winning a battle you can go on quests, gain experience points and avail of some rewards. You can also get new guns, ammo and other accessories available. You can buy armor to protect yourself and more. The nice thing about this game is the different number of ways you can go around such as sprinting, flanking and so on, and it is really competitive.